Whether you’re a weekend warrior or everyday shooter, tactical sunglasses belong in your repertoire. It’s easy to see after the fact that they would have helped a situation but preparedness is the name of the game here. Therefore, we’re going to take a look at some of the best tactical sunglasses on the market and their respective manufacturers. This should help you decide what belongs in your tactical backpack and what can stay on the store shelves. Compromised eyesight means that you’re unable to keep up with evolving unexpected situations. It doesn’t matter whether that’s from dirt, dust, debris, or flying objects. The job of tactical sunglasses is to protect the eyes from harmful threats. However, you also want to maximize visual awareness. Consequently, most glasses do this with wraparound protection, impact resistant lenses, and durable rugged design. This guide was created to help you choose the best tactical sunglasses for your needs and budget. 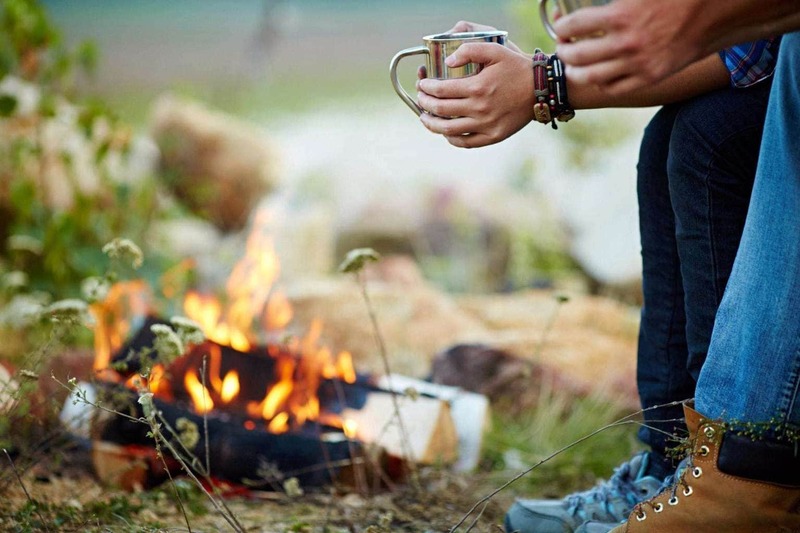 Certainly, it’s easy to get overwhelmed by the volume of information on tactical gear. Furthermore, it seems like everyone has a different opinion. We’ve simplified it for you. Let’s take a look at some of the major features and why they might influence your choice. Many tactical sunglasses feature thick frames with wraparound protection. This is meant to help minimize glare from obstructions at side-angles and block any incoming debris. So, why does this matter? Because, in high pressure situations, fragmentation or debris can come from anywhere. Therefore, having even the smallest intrusion can be mean fatal interruption. With polarized lenses, you’ll be able to see more clearly and acquire targets behind glass or underwater. Operators of vehicles, for instance, can often be obstructed behind a window glare. Additionally, they reduce eye fatigue. Not sure if the glasses you’re checking out are polarized? Take a look at any digital watch and tilt it 90 degrees. If the face of the watch become completely black, then the glasses are polarized. If not, well, you’re out of luck. Keep looking! These lenses are most often a lighter color such as a yellow or orange and serve to help “brighten” up the contrast of the world around you. Therefore, you’d be well advised to wear these on overcast or rainy days. That’s when you’ll notice that image clarity and visual quality are much improved over normal situations. One advantage of high contrast lenses is that they’re just as appropriate at the shooting range as they are in the car. Likewise, around the yard or on the streets. Nest, when you’re looking for tactical sunglasses, you’re going to want to make sure they’re certified to meet and exceed impact protection certifications. At a minimum, you’ll be looking for glasses with ANSI Z87.1 certification for high velocity impact protection. If your needs are more stringent then you’ll be looking for a MIL PRF-31013 certification for ballistic impact protection. While you may find certifications exceeding those discussed here, they’re usually reserved for face shields and goggles and rarely found on sunglasses. ANSI Z87.1 +2010 and Ballistic MIL_PRF 31013 3.5.1.1 compliant. Edge Eyewear SR116 is surprising people with the quality they offer for an affordable price. 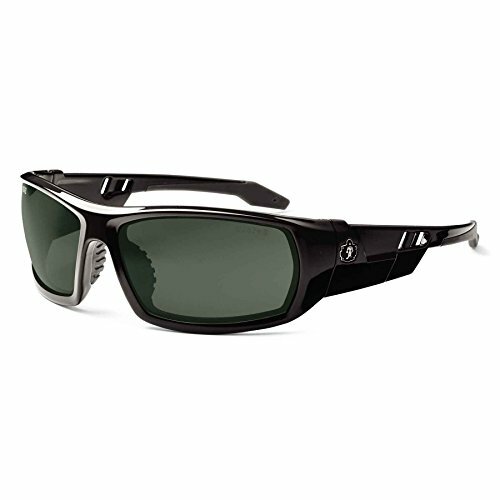 Now, as one of the least expensive tactical sunglasses on the market, these surprised us as well. Because they have a solid full-frame design, these sunglasses offer protection and style. Furthermore, a nylon, flexible material holds scratch resistant lenses. A Soft Megol temple makes wearing these comfortable all day. Also, they’re ANSI Z87.1 +2010 compliant and Ballistic MIL_PRF 31013 3.5.1.1 compliant. This means good quality protection when on the range or in the field. Since the lenses are polycarbonate black smoke, they offer offer impressive protection. Though they are not polarized, for the price point here, you’re getting a lot of bang for your buck. These lenses tend to be pretty dark. That makes them an ideal candidate for daylight shooting as well as working. Soft Megol comfort temples frame. As a very affordable pair of safety glasses, the Edge Eyewear SR116 are a great choice. Comfortable and strong enough to hold up to most tactical situations, we recommend them highly for those on a budget. Fully blocks harmful UV rays with 100% protection. Comfort grip temples offer a snug and secure fit. 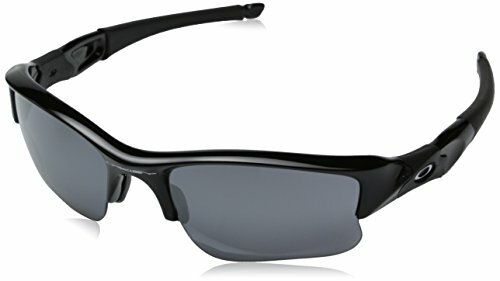 Dark lenses optimal for bright days in the field. 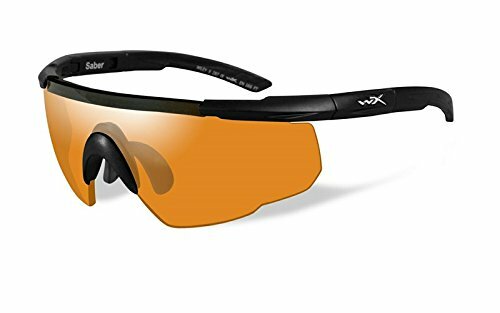 Since they are graded to block 100% harmful UV rays, the Wiley X Sabers are a great pair of field sunglasses. With a curved body and stylish semi-frameless lens setting, these have protection and class. The lenses themselves are shatterproof. And, with a score exceeding MIL-PRF-31013 standards and meeting GL-PD 10-12 MCEP standards, you’ll rest easy. Because of a well-seated ergonomic nose piece, they always stay in place. Also, with the curved frame pulling in toward the temples, running and other activity will not bump these sunglasses loose. Although they’re not polarized, the dark gray lens color protects well against sunlight. Above all, these are remarkably affordable considering the name brand. Wiley X has produced some great stuff over the years. As a result, we trust them to deliver on a promise of quality and safety. These are also not polarized. All in all, these are built-tough and still in the affordable price range. As a result, the Wliey X Sabers are a strong choice. Because they have shatter proof lenses, if a projectile hits them you can rest well. A good pair of protective lenses goes a long way. The Wiley X will have your back and look good doing it. Made with Oakley’s proprietary O Matter frames, these lightweight and rigid frame sunglasses meet and exceed Z87.1 ANSI certification standards. Partially rimless design means that downward vision is never obstructed. Howevre, it can potentially make debris /enter the eye from the sides or below. Plutonite lenses filter out all UV for daily wearing protection and the included case mean you’ll have protection for your investment. These glasses are, without a doubt, for everyday use to be carried by those who consider themselves at risk for encountering visual impact situations. Oakley’s proven name, tested ergonomics, and the more minimalist design of these sunglasses make them more in tune with every day use rather than extreme operating conditions. These glasses are most suited to someone looking for a balance between protection, style, and function. These tactical sunglasses are built around a large frame design which is nearly a full wraparound concept. With MIL-PRF 32432 certification, these glasses are rated to protect from some nasty high velocity impacts. Styled with a modern feel and sleek look, these glasses are great for streets or duty. Rubber nose piece and temple tips mean the glasses won’t slide around when things get hot and rough. One of the things I really love about these glasses is the anti-fog coated polycarbonate lens with UV protection. This is just one extra step manufacturers can take to ensure that nothing gets between you and your clarity of vision when you’re at work or play. I love the wide frames as well for their added protection and support. These glasses are meant for those looking to acquire gear at a reasonable price which will function at or above standards for high demand situations. ]Without a doubt these are the best quality to price tactical sunglasses available right now. These glasses pack every feature users could be looking for in a package price that just can’t be beat. Available in any lens color you could want – from high contrast orange and yellow to dark smoke and black – you’ll be hard pressed to beat the value of these polarized lenses. With certifications in just about every ANSI and MIL spec, they’re nearly everything-proof. ANSI Z87.1 and MIL-PRF 32432 mean you’ll be protected on all fronts when you’re rocking these. Optional foam inserts (sold separate) create a seal around the eyes to really keep out dust, debris, and wind when operating in harsh conditions. It’s great to be able to remove these when you’re wearing these glasses in everyday conditions. These glasses go above and beyond the call of duty while delivering it all at a budget price. Tactical sunglasses are not for everyone. Truth be told not everyone needs the protection offered by these high standard pieces of eyewear. Today we’ve come to a point where manufacturers are competing for attention. 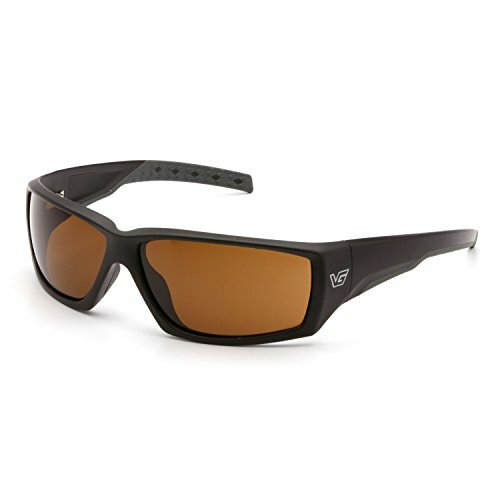 They are making good quality tactical sunglasses that are easier than ever to find at reasonable prices. Make sure to take the extra time to decide what qualities are important to you in a pair of tactical sunglasses. If you’re operating in harsh conditions, go for a more dedicated pair of protective sunglasses. However, many users are often in and out of tactical situations. Thus it may be uncomfortable or unnecessary to wear heavy and bulky wraparound glasses every day. If you’re looking for some tactical sunglasses to wear every day but don’t expect to often find yourself needing the full protection of a dedicated safety glass, then the Wiley X Sabers or the Oakley Flak Jackets is for you. The lightweight frames, thinner design, and Oakley ergonomics makes this the perfect choice for dinner out, driving around town, or operating at the firing range. 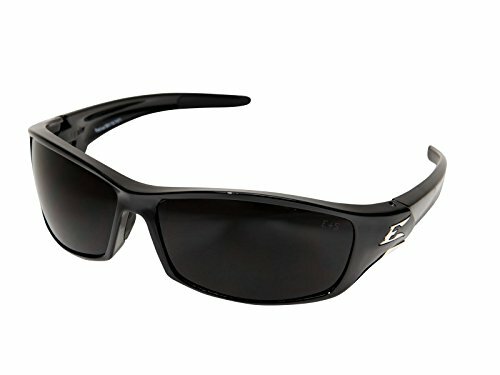 If you’re in the line of duty every day and need a pair of sunglasses that will work as hard as you do, then the Ergodyne Skullerz Odin are the best bet. With multiple ballistic certifications and a thick, wide frame to protect from all sides, you’ll be taken care of in any situation. I also love the vast selection of colors in frames and lenses. On a budget because the wife has threatened to take the kids if you spend another dollar on tactical gear? We understand. Consider the Edge Eyewear SR116 Reclus or the Venture Gear Overwatch glasses for a tight budget. They meet and exceed safety standards while keeping the costs to a minimum. Without breaking the bank you’ll be able to have ballistic protection and durable frames. All that at the cost of a 12-pack or less.